The ladies of Britain took the field to keep the public in good spirits while the men of Britain were off fighting during the First World War. They all succeeded in this task; however, one team excelled and managed to outshine the rest. 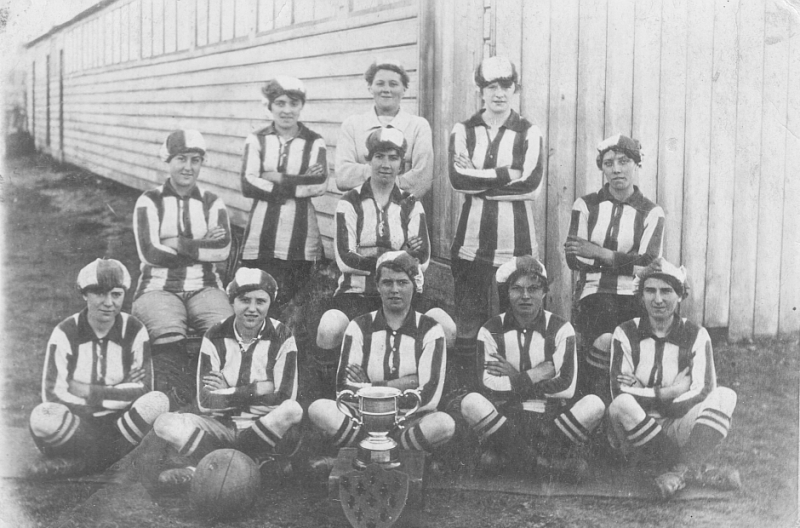 Many female munition factory workers started playing the game of football during the First World War, but the Blyth Spartans Munitionettes, from Northumberland, managed to play superbly. The ladies were taught to play by naval standards on a nearby beach. The team was undefeated during the two years playing the game. Bella Raey was the team’s star player—she was the center forward, and the daughter of a local coal miner. Bella scored a total of 133 goals in a single season. She was so good, she went on to play football for England. The Blyth Spartans were the winners against Bolckow-Vaughan of Middlesbrough. The two teams played at Ayresome Park for a crowd of 22,000 spectators. Bella Raey was able to score a hat-trick. Although the female teams were almost as popular on the field as the men’s teams, when the soldiers returned home from war, the factories closed down and the women’s teams disbanded. Several of the female players tried to keep playing, but the FA banned women’s football on their grounds in 1921. Sadly, this ended an interesting chapter in women’s sports. The Daily Mail reports the history of the Blyth Spartans Munitionettes will be told in a radio documentary for BBC Newcastle. The program will explore the various tales of British women who kept Britain moving while the men were fighting in the war. In a UK-wide project called World War One at Home, more than 1,400 stories of courage, strength, loss, and hope will be broadcasted over all local, regional and nation radio and television stations. These poignant stories can be found online, also.